Multi-year deal for 2,300 locations enables all franchisees to consolidate QuickBooks® files and other financial data, access business-intelligence tools, and benchmark for best practices. Qvinci® facilitates collaboration among the franchisor and the franchisees, for improved performance and competitive advantage at a critical time in the current economy. Qvinci was selected because of its speed and functionality. [Qvinci] not only enables corporate staff to see how our franchisees are performing, but also enables our franchisees to benchmark against the best franchisees in the system. Qvinci Software (http://www.qvinci.com), the leading provider of cloud-based financial reporting and business-intelligence software for the franchise industry, and Anytime Fitness, the fastest-growing fitness club franchise in the world, have teamed up to make Qvinci® available to the entire USA network of Anytime Fitness franchisees. The deal is structured as a multi-year site-license, to accommodate projected growth and deliver maximum value to franchisees on a cost-per-location basis. The agreement also recognizes the strong international growth of Anytime Fitness, particularly in Australia and New Zealand, by extending the benefits to those locations on an agreed schedule. Using Qvinci®, the franchisor and multi-unit franchisees can sync data and consolidate all relevant financials in seconds, on a daily basis, to see exactly how their units are performing, from top-line overviews down to the line-item level. 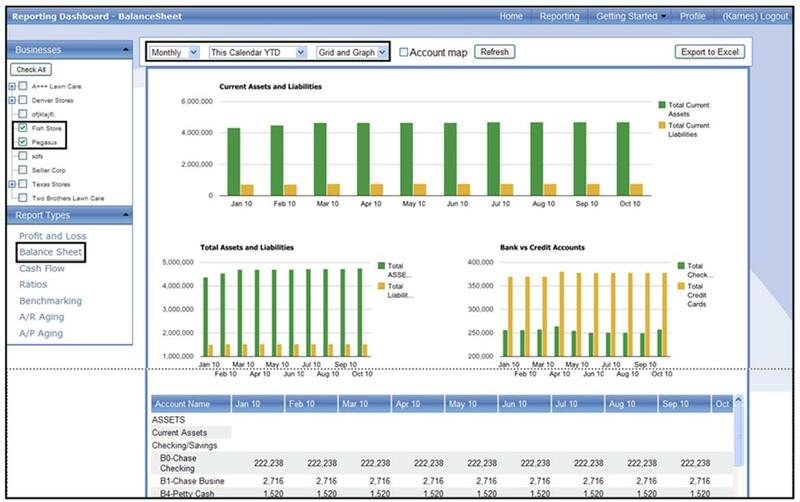 All franchisees benefit from the data sync and the array of business-intelligence tools available in Qvinci®, including account mapping to standard chart of accounts, numerous financial reports and operational-analysis tools, early-warning indicators, email alerts, email snapshots, and the ability to benchmark against franchise averages and top percentiles. By making current financial data visible and digestible, at the unit, multi-unit, and enterprise levels, and applying operational intelligence to the data, the franchisor and the franchisees can act on the data proactively to identify and duplicate best practices, identify problem areas and address them early, and gain a competitive edge through strategic management. Collaboration becomes the norm. For fast-growing franchises, these system capabilities are of critical importance and can yield even greater benefits. http://www.qvinci.com/franchise. Franchisors and franchisees (and other multi-unit businesses) are realizing that what cannot be seen or measured cannot be managed. The model that Qvinci® brings to the franchise industry answers with precision the question, “How are we doing?” by providing access to current financial data in a format that makes the data graphically visible, understandable, and actionable. Filters allow franchisees and the franchisor to compare locations by any metric desired, including age, region, size, type of unit, revenue, and net income. Financial and operational tools include P&L and Balance Sheet, AR and AP Summaries, Sales by Customer, Vendors Report, Ratios, KPIs, Ranking Reports, and Cash Flow Forecasting. Reports can be generated on a consolidated basis for monthly, quarterly and annual time periods, and can be broken out by location for side-by-side comparisons. The fastest-growing businesses are not the only ones that benefit from “visible intelligence.” Any business, to survive and thrive in the current economic environment, must know and understand its financial and operational health – based on the most current data available – so that successes can be leveraged and deficiencies corrected, before the end of the month, quarter, or year. Qvinci Software is committed to enabling franchisors, franchisees, and small and mid-size businesses to access and use financial data quickly, easily, and intelligently. 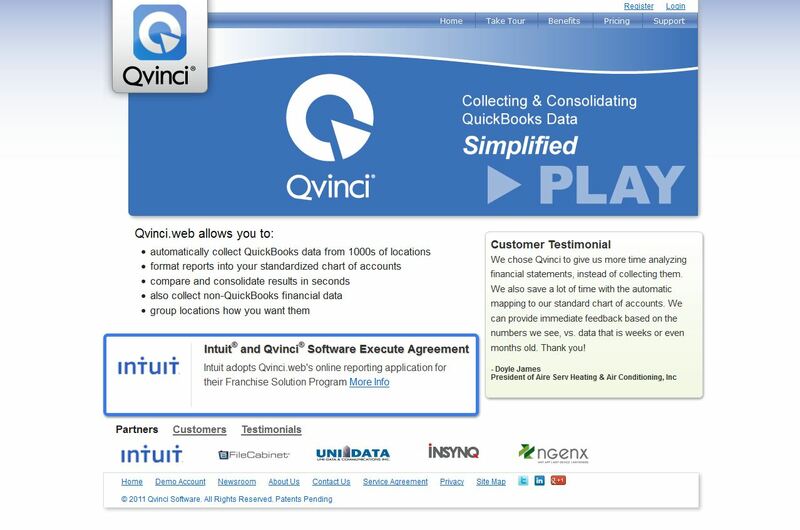 Qvinci Software is the creator of Qvinci®, an industry-leading, cloud-based solution that automatically syncs and consolidates an unlimited number of QuickBooks® (and non-QuickBooks® files) in seconds in an enterprise-class interface that gives the user a vast array of tools to analyze and act on the data. Intuit® has selected Qvinci® as the backbone of its Franchise Solution Program. Website: http://www.qvinci.com. Franchisors/franchisees: http://www.qvinci.com/franchise. 2-minute explainer: http://www.qvinci.com/intro. For additional information, contact James Wallace at jamesw(at)qvinci(dot)com or 512-585-6019. Founded in 2002, Anytime Fitness is the fastest-growing fitness club and largest co-ed fitness franchise in the world, with almost 1,500,000 members and nearly 2,000 clubs worldwide. Open 24 hours a day, 365 days a year, Anytime Fitness prides itself on providing its members with convenient and affordable fitness options in friendly, well-maintained facilities which feature top-quality exercise equipment. Clubs are now open in 49 states and more than a dozen countries. Join one club and use them all. Members also enjoy free access to AnytimeHealth.com, the most comprehensive wellness website available. Website: http://www.anytimefitness.com.